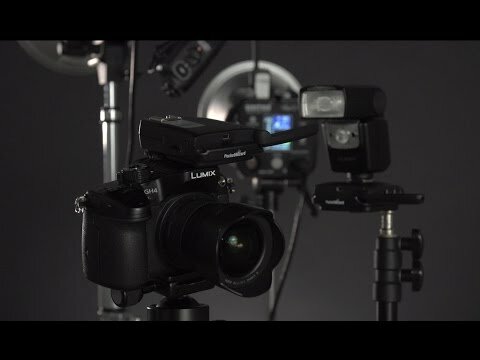 Use the FlexTT5 Transceiver to control single or multiple off-camera Lumix Speedlites. You can now place TTL or manual flashes anywhere to illuminate the scene: Around corners, out-of-sight and in bright sunlight. The FlexTT5 is compatible with any PocketWizard radio for triggering manual flash or remote cameras. The FlexTT5 for Panasonic is currently compatible with the GH4 and GH5 cameras and the 580 and 360 Lumix speedlight flashes. Additional compatibility will be available via a firmware upgrade as our engineers reverse engineer both newer and older cameras and flashes.